Big City Production, Small Town Charm! There’s something on stage for everyone at American Music Theatre – Central PA’s live entertainment destination! 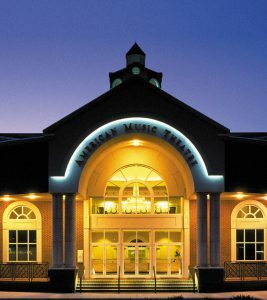 Since opening in 1997, AMT has welcomed Grammy winners, CMA winners, Tony winners, Broadway tours, Opry legends and even Oscar winners to their stage. They’ve produced acclaimed Original Shows and spectacular Christmas productions. With a group minimum of only 15, it’s easy to take advantage of their group ticketing policies. Your group will enjoy a welcoming and comfortable experience – from AMT’s greeters who welcome your group to the theatre in their bus-friendly parking lot to spacious and comfortable theatre seats. AMT is conveniently located on Route 30, with easy access to all the area has to offer. Plan a day, a weekend, or a whole vacation! Bring your group and we'll bring the WOW! Connect with us to book your trip, ask a question, and more. Don't just take our word for it, take a look at some recent recommendations.